No spoonful of sugar is necessary before seeing "Saving Mr. Banks." That, at least, is the consensus from critics who were in attendance at the film's world premiere during the London Film Festival on Sunday. Based on an original screenplay by Kelly Marcel (the upcoming adaptation of "50 Shades of Grey") and Sue Smith, "Saving Mr. Banks" details the lengths Walt Disney went to adapt P.L. Travers' "Mary Poppins" for the silver screen. Tom Hanks stars as Disney, with Emma Thompson playing Mrs. Travers. "Somewhere, Uncle Walt is smiling," Variety critic Scott Foundas wrote of "Saving Mr. Banks," which comes from director John Lee Hancock. "Thick with affection for Hollywood's most literal 'dream factory' and wry in its depiction of the studio filmmaking process, ['Saving Mr. Banks'] should earn far more than tuppence from holiday audiences -- and from awards voters who can scarcely resist this sort of mash note to the magic of movies (e.g., 'Argo,' 'The Artist')." Those films, it should be noted, represent the last two Best Picture winners. "Saving Mr. Banks" features an all-star supporting cast (Colin Farrell, Jason Schwartzman, B.J. Novak, Paul Giamatti, Bradley Whitford, Ruth Wilson, Rachel Griffiths), but the early reviews reserved the lion's share of praise for Thompson. Critics for The Hollywood Reporter ("outstanding"), Indiewire's The Playlist ("truly excellent"), Indiewire proper ("nuanced") and The Telegraph ("bravura"), among others, singled out Thompson as the film's high-water mark. Not that Hanks' performance is, for lack of a better term, chopped liver. "As you might expect, the heart of the film lies in the relationship between Walt and Mrs Travers. Just as Thompson is wonderfully poised and dismissive, doing an expert Hollywood job of dismantling Travers’ guarded barbs as her memories seep in and soften her up, Hanks might be even better as Disney," wrote a contributor to the awards website The Film Experience. "He uses his movie star charisma to portray Walt’s immense popularity, but does so without sacrificing the shades of manipulation to his dealings with Travers." Despite the solid reviews, some critics were more than willing to tell Hancock's film to fly a kite. "'Saving Mr. Banks' also feels sanitized and disingenuous," wrote the critic for The Independent (the piece did not have a byline at press time). Writing for The Guardian, critic Peter Bradshaw, who did give "Mr. Banks" three stars out of five, called the film "outrageously sentimental and self-congratulatory." 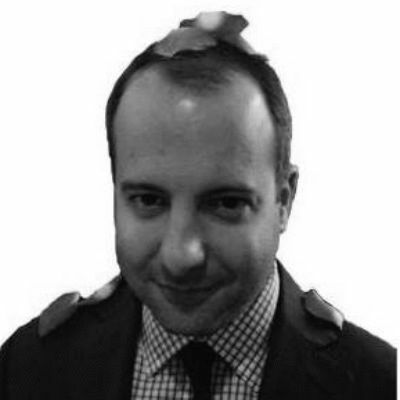 Hollywood Elsewhere blogger Jeffrey Wells, who flew to London specifically to watch "Saving Mr. Banks" early, was somewhat underwhelmed as well, faulting Hancock for taking the subtlety out of Marcel's script. I can only repeat that Marcel’s wise and intelligent script was one thing and the movie is a little different. The screenplay seemed like an emotionally poignant adult-level dramedy that was amusing and yet “real” in a low-key way — it was written with a certain comedic tension but it seemed to unfold at a more or less natural pace. You could sense the hand of an adult (i.e., Marcel) taking you through it. 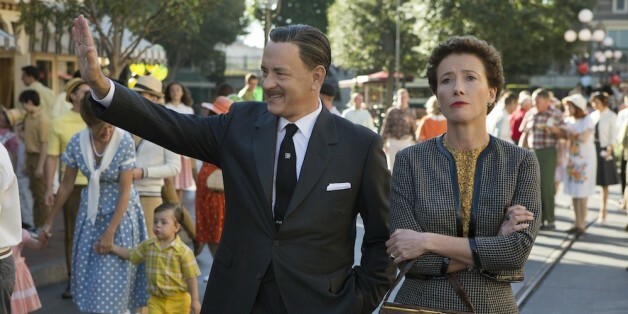 'Saving Mr. Banks,' the movie, feels a lot broader and more on-the-nose. "Saving Mr. Banks" is out in limited release on Dec. 13 before a nationwide bow on Dec. 20. The film will debut for U.S. audiences at the AFI Festival on Nov. 7.